The Lisa Boccard Breast Cancer Fund was founded in 2003 by Vincent and Terry Boccard in support of Vincent's sister Lisa and her fight with breast cancer. The mission of the Lisa Boccard Breast Cancer Fund is to provide funding for care that may otherwise be unattainable, for the women in our community to obtain screening mammograms and breast treatments if necessary. We have been fortunate over the years to benefit from many Community Partners. This has allowed us to screen over 2100 women of which 100 have been identified with breast cancer. These women have received treatment and thankfully are still alive today. BOTH EVENTS WILL START ON TIME. Take Sawgrass North or South to Sample Road head East on sample road to the very first light make a right on Sportsplex drive go down about .8 miles to the big open field where all parking will be taken place. If you are a local resident you will NOT be permitted to get to the Tennis center on Royal palm. Royal Palm will be closed to traffic heading west. Parking will be free and held in the field on Sportsplex drive. THIS IS NOT A WOMEN'S ONLY EVENT. MEN WEAR PINK TOO!!!!! Participants must be able to complete the Half in 4hours which is a 18minute mile pace. Must be 12 years old to compete in the half marathon. No Dogs /and or pets are allowed on the race course or event fiend. 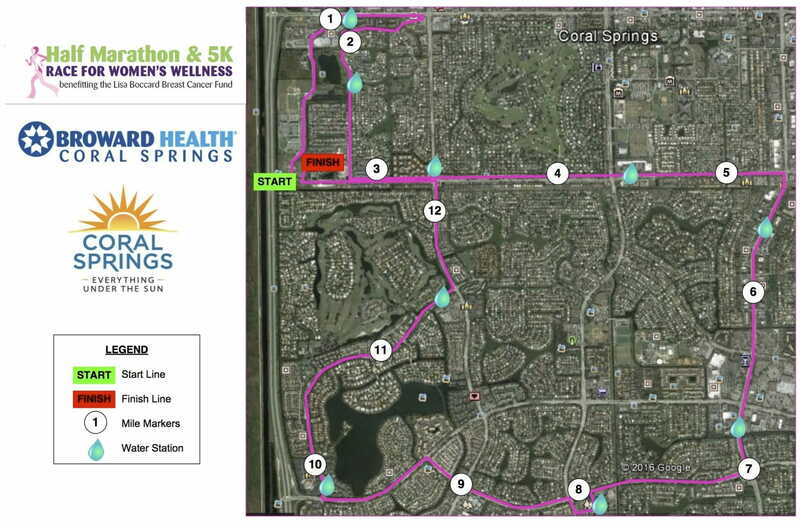 No strollers will be allowed on the half-marathon course. We will allow strollers on the 5K course ONLY. Roller Skates and Skateboards are not permitted. 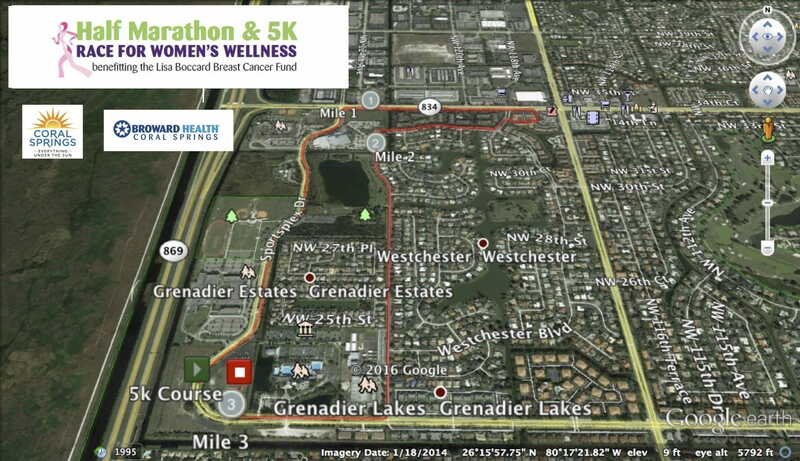 How was Race for Women’s Wellness Half Marathon and 5K?